We find that most guests are happy to leave you feedback. They just need a reminder to do so. Sending an email to each guest a few days after they have checked out is a great way to remind them. But in addition to optimizing the hotel survey itself and collecting as many guest emails as possible, you need to think carefully about your post-stay emails. By understanding your performance metrics, you can identify where you can optimize your emails. Delivery rate is the percentage of emails you send that actually reach your guest. If you find that your delivery rates are lower than expected, look into making an effort to verify with guests that the emails they have provided are correct, whether this is at your front desk or a check-in kiosk. 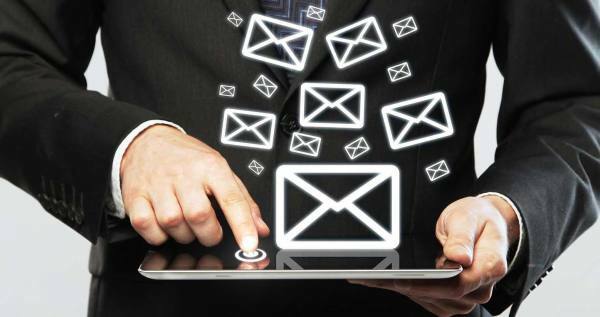 According to eMarketer, average email open rates in hospitality are 36.2%. If you find that your open rates are below average, consider your subject line. This is your main piece of real estate to catch your guest’s attention, reminding them of their stay. A good best practice is to keep it under 40 characters, and keep it simple. Also, though we have seen a variety of subject lines work, we have noticed that subject lines with promotional messaging have resulted in lower open rates. We can conclude that these types of messages seem like marketing messaging which may be off-putting. The timing of your email delivery can also have an impact on your open rates. Industry standard is 2-3 days, but we do not see a significant difference in open rates between industry standard, and those who send their review invitation at a different time. However, your feedback may be more accurate if you choose to send the email sooner rather than later. If you choose to send the email too much later, your guests’ memories of their stays might not be quite as fresh and they may not recall their stay in as much detail. Feel free to test with different send times to see if it has an impact on the quality of your reviews. Click rate refers to the number of people who opened your email and then clicked on your survey link, as a percentage of the total number of emails sent. Hospitality gets an average 4.9% click rate, according to eMarketer. Success in this area will depend on how you have crafted your email invitation. Look and feel: If your email has an image header, make sure your image header looks sleek and professional. We have seen that image headers work best when something is designed specifically for that space in the email. Avoid shrinking or blowing up an image as it could result in poor image quality. This could be a turnoff for your guests who otherwise felt they had a stay at a hotel where no detail was ignored. It’s the little things that count. Email body: Keep your email short and sweet, but be clear about what you are hoping to accomplish. Introduce yourself and explain that this feedback will be used to improve the guest experience. In addition, provide an estimate of how long it will take to complete, and make sure you have a clear call to action link or button that leads to the survey. Though you may have other things you want to communicate to guests, you save those messages for other communications. If your main goal is to receive feedback from your guests, then you’ll want to make sure nothing is distracting them from clicking on that survey link. Once your emails are optimized for delivery, open and click rates, you’re set up for success on the hotel survey itself. But, you can’t actually capture the data if your guests don’t take the time to complete your survey. Completion rate is insight into your survey’s optimization. Overall, a good best practice is to keep testing and adjusting your hotel surveys and emails until you’re satisfied with your metrics. The more data you can get, the better insight you’ll have into your guest experience.